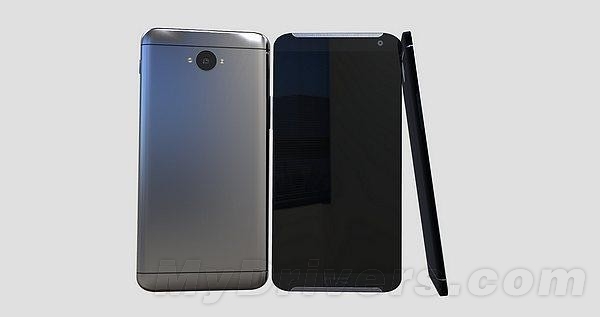 Excited about the HTC Hima specs we saw last week? 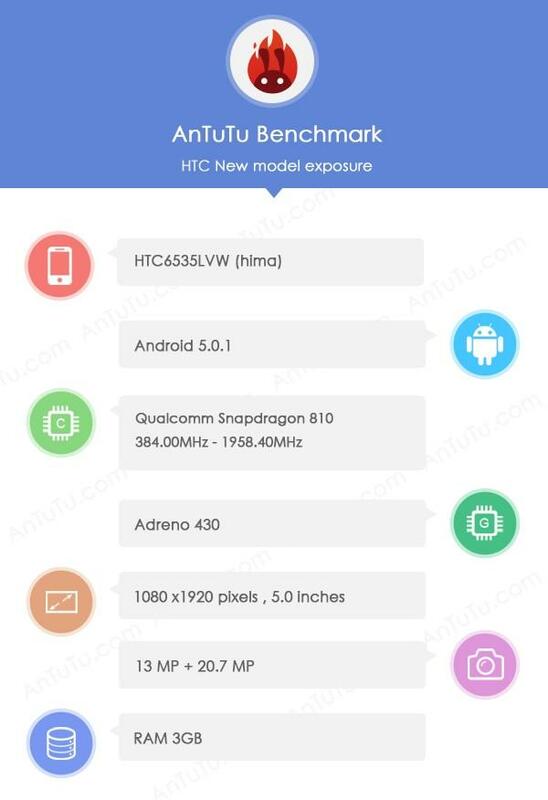 Well, here’s something to keep you even more excited – a HTC device with the codename “Hima” recently made its way to AnTuTu, unveiling its key specifications on the benchmark site. According to the specifications published on AnTuTu, the HTC Hima will indeed be powered by a Qualcomm Snapdragon 810 64-bit octa-core processor that has four 2.0GHz Cortex-A57 and four 1.5GHzz Cortex-A53 cores on board, paired with 3GB of RAM (What! Not 4GB??). Camera wise, the leak on AnTuTu also says that HTC will be packing a 20.7MP sensor at the back and a 13MP camera for the front, possibly the same one found on the HTC Desire Eye. Unfortunately, the leaks does not mention anything about a Duo Camera setup, which is a waste if HTC drops it because while gimmicky, it actually is a pretty cool idea to have two cameras on board to give you all the added editing features in the gallery app. Other specs unveiled on AnTuTu include Adreno 430 GPU, Android 5.0.1 and a 5” Full HD display. Are you disappointed that HTC is not going to use a QHD display on its next flagship smartphone? Let’s keep our fingers crossed that HTC unveils the device at MWC 2015 happening in early March 2015.